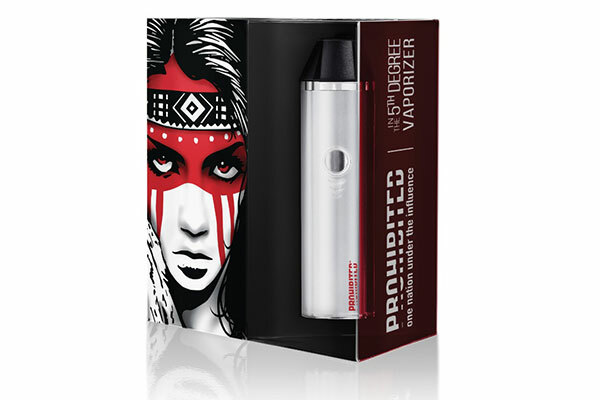 Prohibited 5th Degree Vaporizer-In Stock!! The Prohibited 5th Degree has arrived at Rocky Shore Cannabis Canada, your all-Canadian source for the best cannabis vaporizers available. The Prohibited 5th Degree holds the promise of a truly Cannabis-Centered device. The Prohibited 5th Degree is a totally versatile unit with precise temperature controls enabling the perfect conversion of your herb, shatter, wax, oils…and wait…what?…dab??? There’s a Dab Attachment?!?! We’re so excited we can barely stand it!